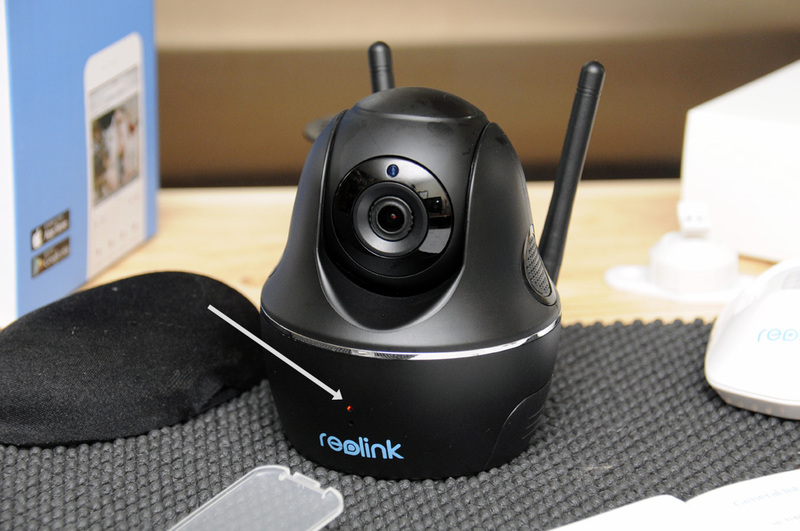 The Reolink Keen is the world’s first 100% wire-free, battery-powered, WiFi security camera. It can record in 1080p Full HD, has pan-tilt and night vision capabilities, two-way audio, and can be activated via a passive infrared (PIR) motion sensor. Cool or what?!?! Put the camera somewhere convenient. NOTE: With its built-in micro SD card slot, it is possible to record, save, and review the motion videos at a later time. Without the storage card, the live video can be captured if streamed over WiFi to the app, but will not be stored on the device for later retrieval. The four CR123A batteries go into the base of the Keen. The battery door can be a little tricky to get on properly; just make sure to align the cover before sliding it into place and don’t try to force anything. It all fits together very snuggly. With fresh batteries, the Keen will run constantly for 10 hours during the day or 5 hours at night mode. Of course, that is not how this camera is design to work. The Keen is design to “wake up” ONLY when something triggers it—motion, user activating live view, etc. With this “as needed” approach to firing up the Keen, the stand-by life of the batteries can be up to 6-months! 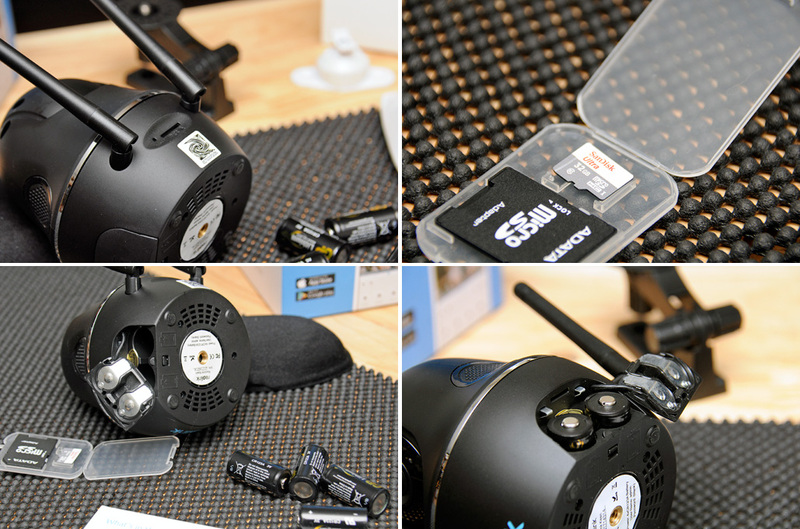 Once the batteries are installed in the camera, it will initialize itself and determine its present state. 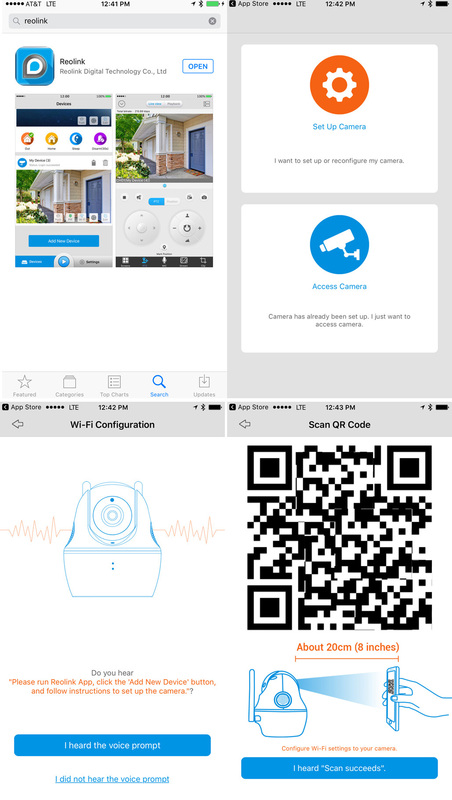 If it has not been previously set up, both the camera and the app will walk you through the steps necessary to get it up and running. 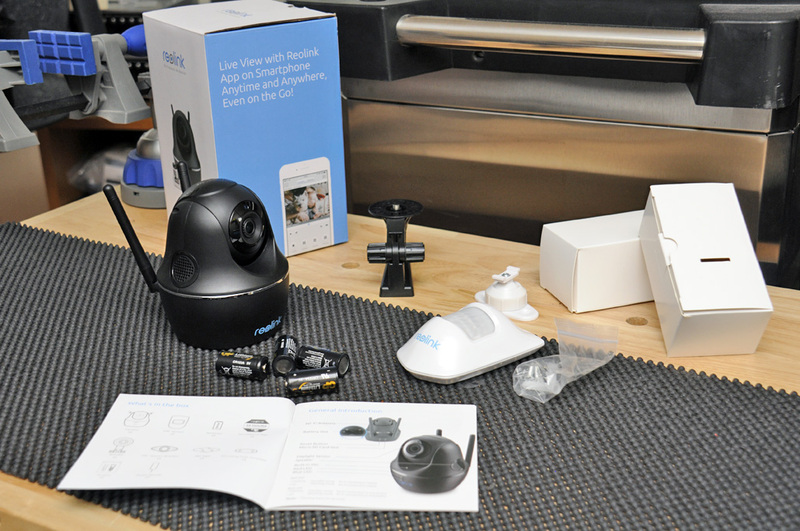 Being able to move a security camera around the house is something not possible or easily done with most other brands. 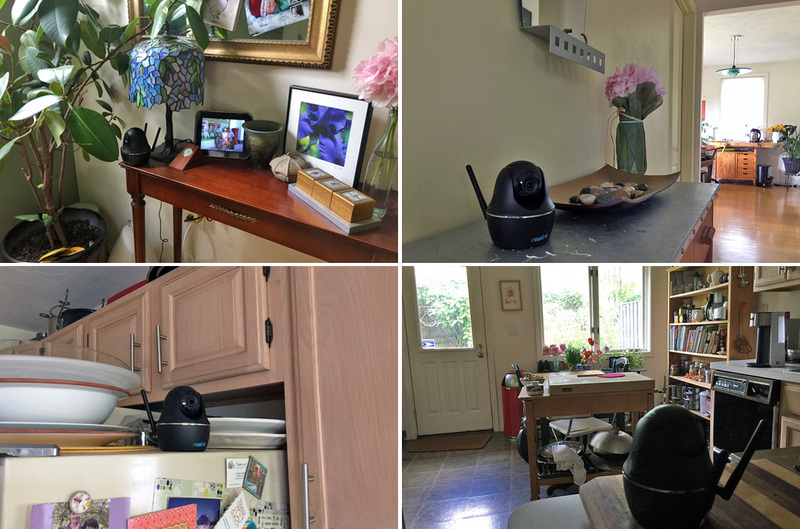 With the Reolink Keen, it is one of its most notable features. Need it in the kitchen to keep an eye on the backdoor? Just grab it from the hall and put it on top of the fridge or on the counter top. No muss, no fuss. 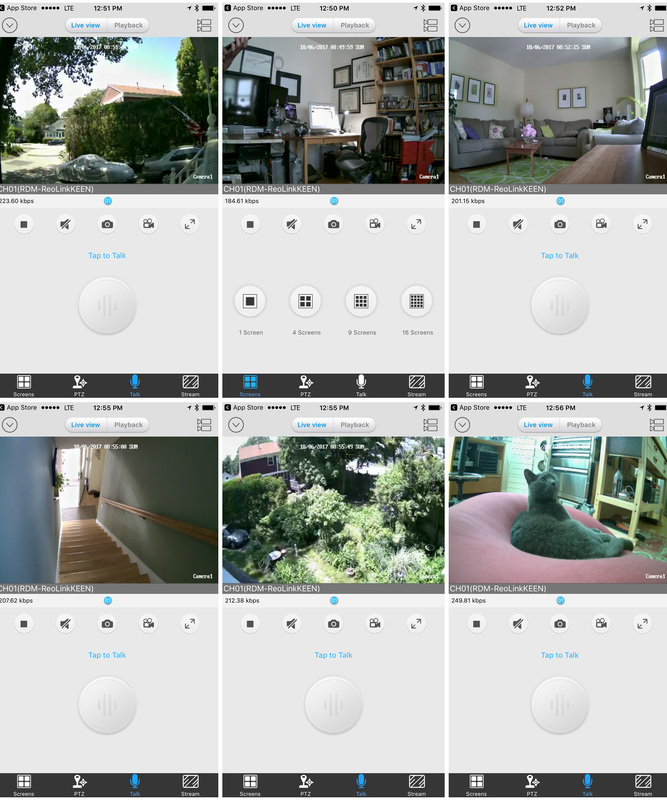 Want to keep an eye on the driveway, the office, or wherever? Just find a flat surface for the Keen, check the “live view” via the app and you are good to go. We can’t emphasize how quick and simple this is. Not having to worry about wires is such an awesome plus. 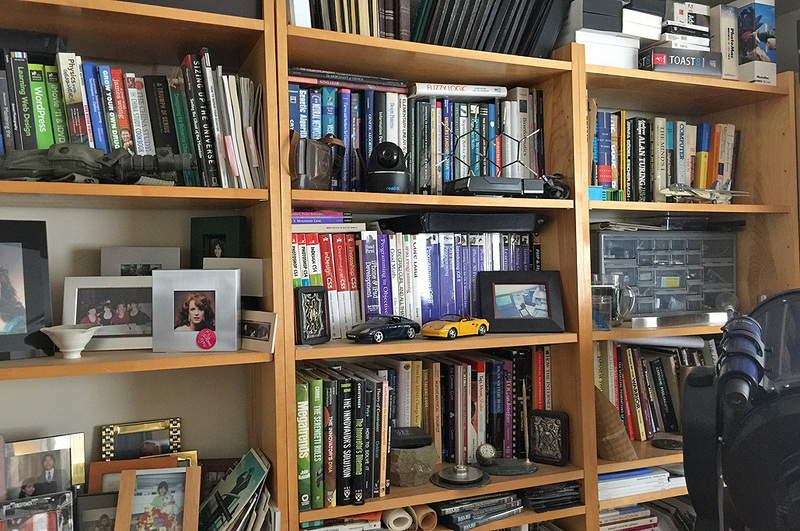 Can you find the Keen on the bookcase? It is pretty out in the open, but yet does not look out of place… which is exactly what one wants for a security camera! For those looking for an exterior, weather-proof version of the Keen, check out Reolink’s Argus. We don’t have one in-house yet, but we are pretty excited to check it out if it is anything like the Keen!